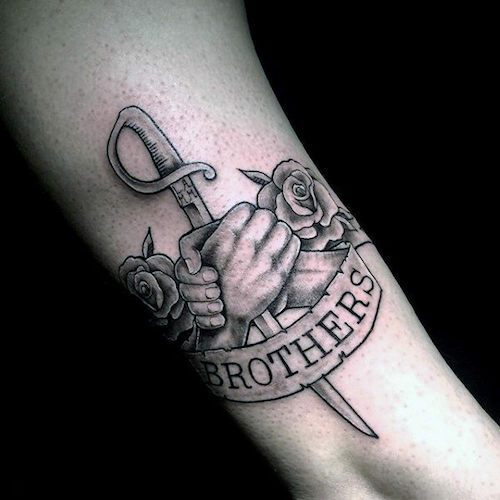 There is a special bond among brothers that is different from the bond between friends. It is different from the bond between sisters. 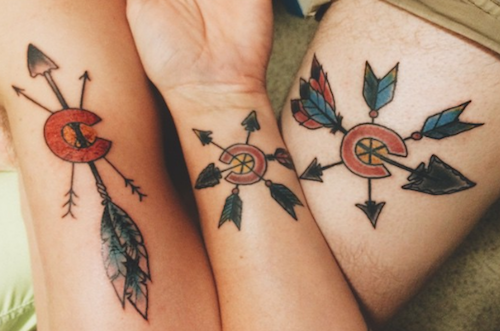 Different from the bond among friends and lovers. There is something there that cannot be broken. 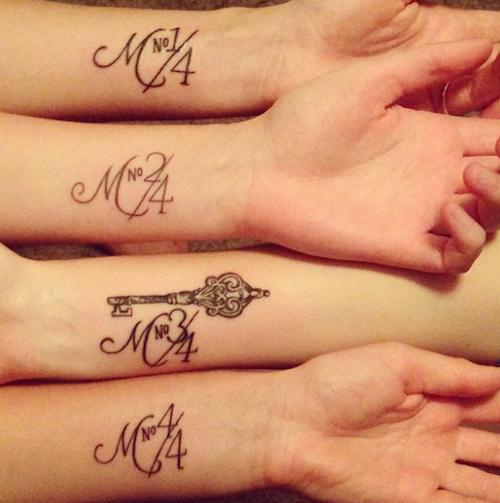 This tattoo list celebrates that bond with the 10 Best Brother Tattoos. 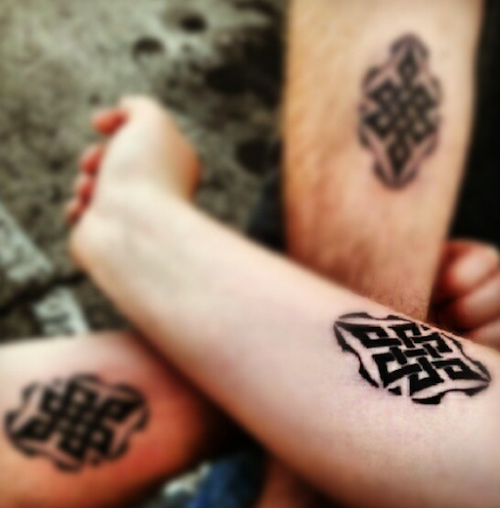 A Celtic symbol that looks burnt in or branded makes for a lovely and bold brother tattoo. 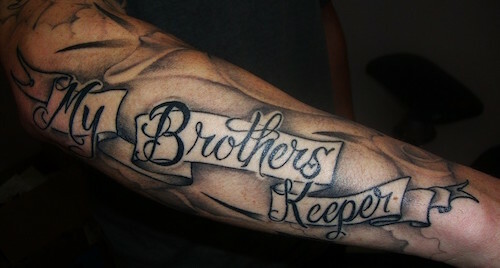 “My Brother’s Keeper” is a Biblical reference to the importance of brotherhood. 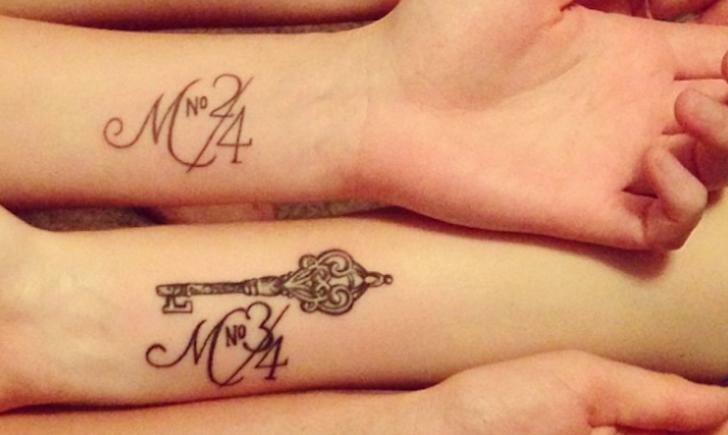 Among four siblings, this simple text tattoo idea shows who is who in the hierarchy of things. 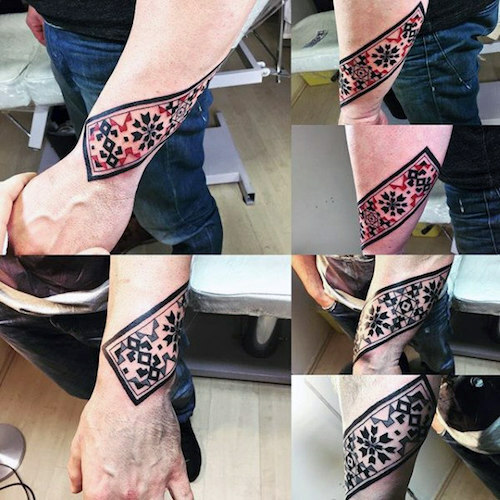 Take something you all love, and get it tattooed in unique ways to show your similarities and your uniqueness among each other. 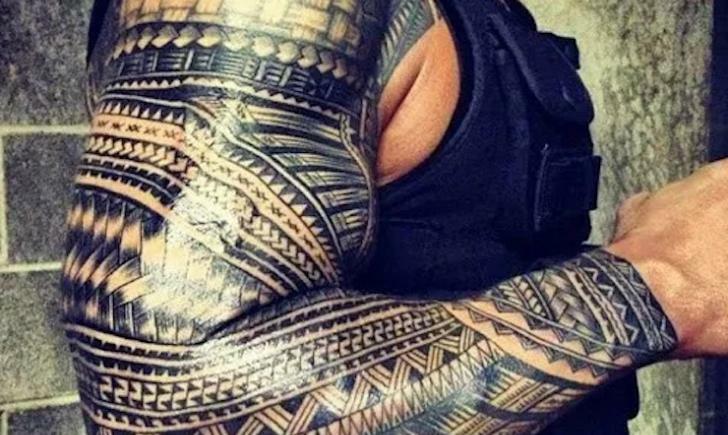 This tattoo exhibits strength and personal meaning, straight from the heart. 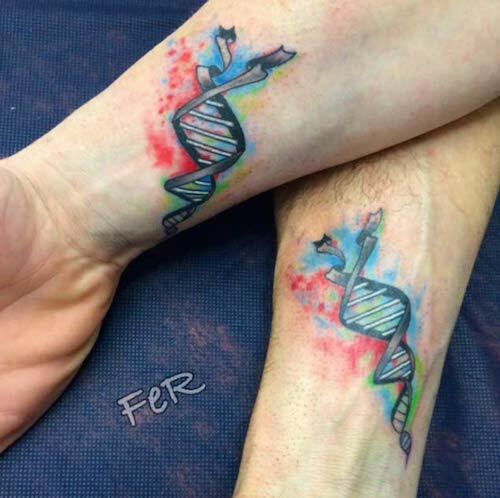 The same DNA runs in your veins. Why not be literal about it? 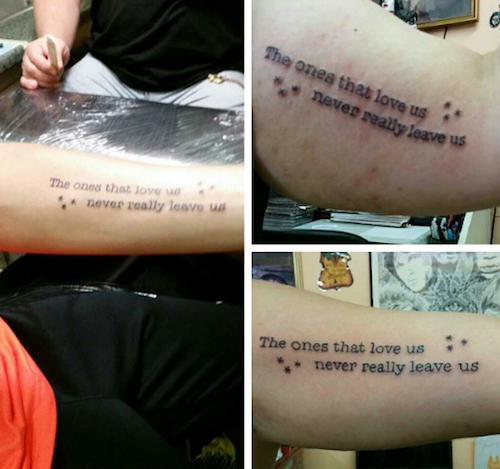 “The ones that love us never really leave us” is a great tattoo to get, especially when one brother has passed on. This gorgeous pattern is meaningful only to the wearers and may have something to do with their childhood. 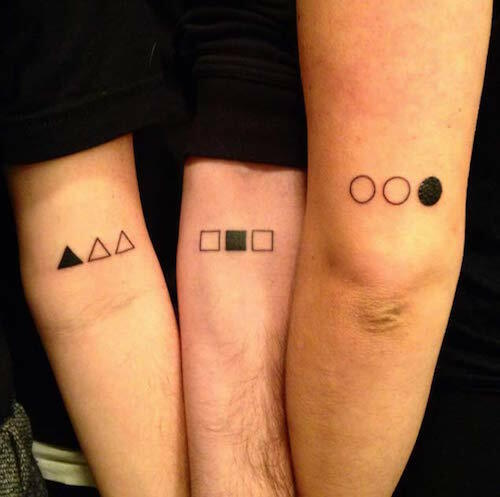 Another tattoo idea to see who is the eldest, the middle, and baby of the three. 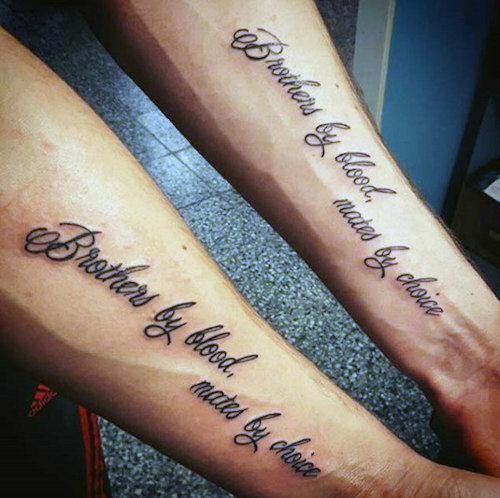 “Brothers by blood, mates by choice” is a great saying for brothers who become best friends throughout their lives.